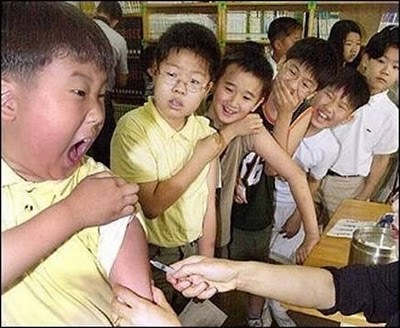 Years ago, I remember getting rejected for the flu shot. The doctor would always say that it was only for young children, elderly people and those with compromised immune systems. I pointed out that I had asthma to which always threw me straight into the hospital once the flu hit. So they included me in the "chronic illness" category. 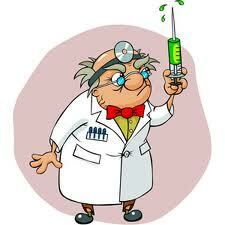 While I never got the flu again after the shot, I stopped taking the shot after doing research on it. Between side effects, long term effects as well as not even being remotely effective due to "educated guesswork" to determine which strain of the flu "may" be hitting the nation --- I was out. Let the young and elderly have the shot. I never got the flu after that until the H1N1 hit us. I suffered through it, but had comfort in knowing I didn't have those awful chemicals in my system. Read through some of the ingredients listed that's in the flu vaccine: "Formaldehyde, mercury, aluminum, thimerosal, animal byproducts, chlortetracycline hydrochloride, chick embryonic fluid, streptomycin sorbitol monkey kidney cells and calf serum, phenol -a compound obtained by distillation of coal tar vesicle fluid from calf skins Engerix-B, human diploid cells from aborted fetal tissue, and live viruses." Not only are these ingredients alarming, but some people don't know that there are allergens in here (if they are allergic) like raw egg and shellfish, which can be deadly for some people. In an article written by Ken Picard in a local Vermont newspaper, it reads, "Nicole and Justin Matten of Barton have lived every parent’s worst nightmare. 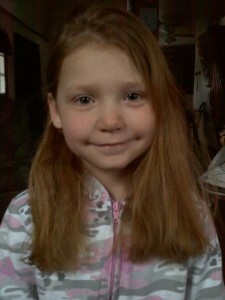 On December 2 their 7-year-old daughter, Kaylynne, visited her physician for an annual checkup. She got a flu shot. The next day, she developed a bad headache and fever. On December 6, the normally happy and healthy girl, who had no previous history of chronic health problems or adverse reactions to vaccines, turned blue, stopped breathing and died in her mother’s arms." ---read more for entire article. The autopsy is still being done and investigated, however in the article it notes that they're afraid that this will cause alarm for parents to have their children immunized in the future due to this "rare" incident. I can show you many articles that unveil mysterious ailments formed on people without pinpointing a culprit - mostly neurological, unless it's fully investigated. The government only cares about the bigger picture and trying to simmer the influenza down - which is understandable, but why can't they make a vaccine that is at least 80% safe. The vaccine itself isn't even at most, 65% effective. I have heard more than three people say that they've taken the flu vaccine and they are now home sick with the flu. If it isn't effective, then why are we taking it? I'm not a mother. I'm not sure how my feelings would be or change if I had a child that was going to school. I get it. If children are so vulnerable to colds and flus, especially this time of the year, then I guess the "rare" dangers of the vaccine aren't as important as the "possible" protection they would gain from taking the shot. Why is this incredibly important issue flung into the gray area? We're talking about our children and loved ones who are elderly! This controversial topic alone is extremely personal and very political. We're talking about our personal choice to refuse the shot because we don't want those horrible chemicals in our systems, nor in our loved ones' systems, and we're also concerned that yes, they may get the flu with complications. So why can't they come out with a vaccine that is at least 90% effective? It's almost as bad as debating about religion, and sadly, there are no concrete facts to stand on. Get at least 7-8 hours of sleep every single night. Best medicine? Laugh A LOT. And a personal one for myself? PRAY. Hope that helps. Be safe, be well, stay healthy and take care of your children the way you feel is best.